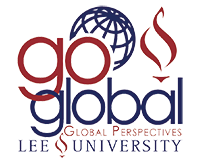 The Global Perspectives Program is one of the most unique and exciting opportunities that Lee University offers because it gives students the chance to travel the world and to get to know people of another culture firsthand. The links on this page will provide information concerning Events that will aid in the process of choosing and completing a cross-cultural experience at Lee University, as well as information about Obtaining a Passport and how to Get Involved Globally. If you have any questions or concerns, feel free to contact the Global Perspectives Office.